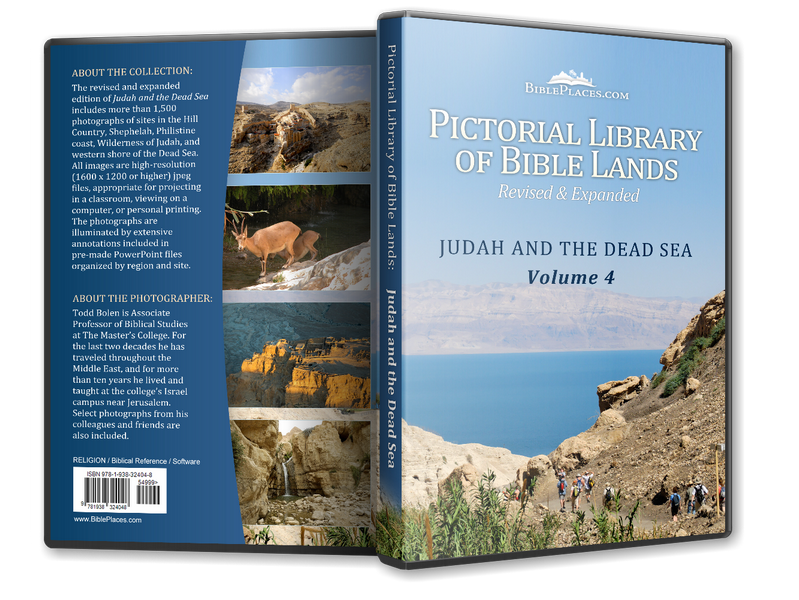 The Philistine city of Gath was located near Israelite territory at the end of the Elah Valley, and frequently Gath figured in the biblical record. 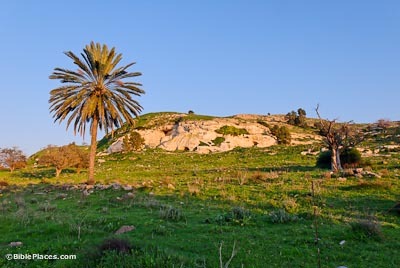 The most famous inhabitant of Gath was Goliath, the giant who battled David in the Elah Valley, in an attempt to take territory away from the Israelites. The name of the city in Hebrew is “gat,” which means “winepress.” This picture has an ancient winepress in the foreground, with the city behind. 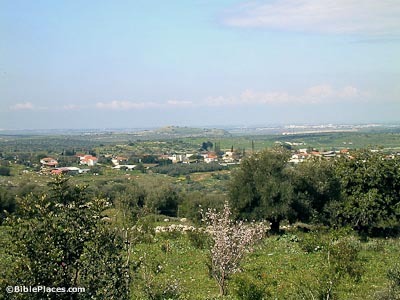 The area around Gath was very fertile and it’s likely that the city had a number of winepresses. 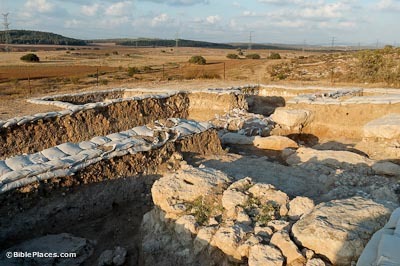 Archaeological excavations at Gath’s neighbor, Ekron, found an abundance of oil presses on the site. Most scholars agree today that Gath is to be identified with Tell es-Safi. This Arabic name for the site means “the white mound” and is appropriate because of the white chalky cliffs visible on the sides of the tell. 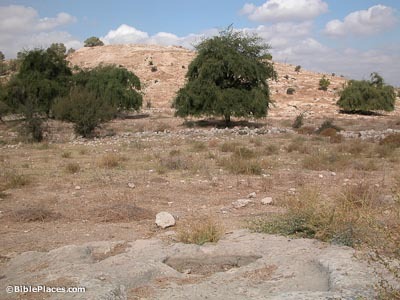 The biblical site of Libnah (which means “white”) is probably not to be identified with Tell es-Safi in spite of the meaning of the names. The site was identified as Gath in 1887 and excavated by Bliss and Macalister in 1899. At the time the site was occupied by an Arab village, which was later abandoned in 1948. Bar Ilan University is now excavating the site under the supervision of Aren Maeir. Recent excavations uncovered a 1.5 mile long moat that surrounded the city on three sides. 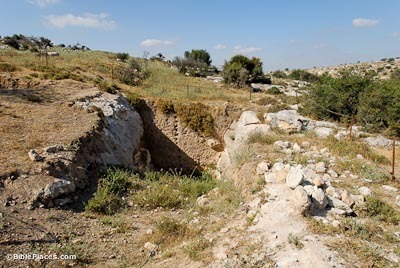 This moat dates to the 9th century B.C., and was apparently built by Hazael and his Aramean army when they were besieging the city in 811 B.C. A brief notice of this battle is given in 2 Kings 12:17.